Critically celebrated novelist Scott Spencer delivers a Rosemary's Baby-like novel of gothic horror, set against the backdrop of modern-day Upper East Side Manhattan. Alex and Leslie Twisden lead charmed lives-fabulous jobs, a luxurious town house on Manhattan's Upper East Side, a passionate marriage. What they don't have is a child, and as they try one infertility treatment after the next, yearning turns into obsession. As a last-ditch attempt to make their dream of parenthood come true, Alex and Leslie travel deep into Slovenia, where they submit to a painful and terrifying procedure that finally gives them what they so fervently desire . . . but with awful consequences. Ten years later, cosseted and adored but living in a house of secrets, the twins Adam and Alice find themselves locked into their rooms every night, with sounds coming from their parents' bedroom getting progressively louder, more violent, and more disturbing. Driven to a desperate search for answers, Adam and Alice set out on a quest to learn the true nature of the man and woman who raised them. Their discovery will upend everything they thought they knew about their parents and will reveal a threat so horrible that it must be escaped, at any cost. I was reluctant to give this book a listen because of bad reviews on the Internet, but am glad I gave it a try. 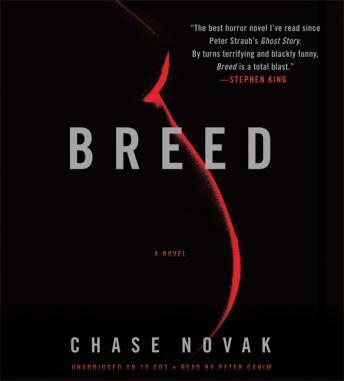 Breed is a solid horror story that kept my attention and left me wanting more. This is not one if those stories that involves a mystery, instead it is a story that horrifies, disgusts, and entertains. A bit drawn out and repetitive, the story is more strange than horror. All of the buildup should have revealed more action and there was no real climax. While entertaining, I would have rather spent 12 hours on a book that had more of a point.